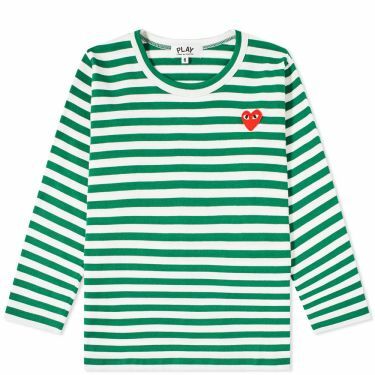 Stussy Trucker Pigment Dyed Pocket Tee Black | END. 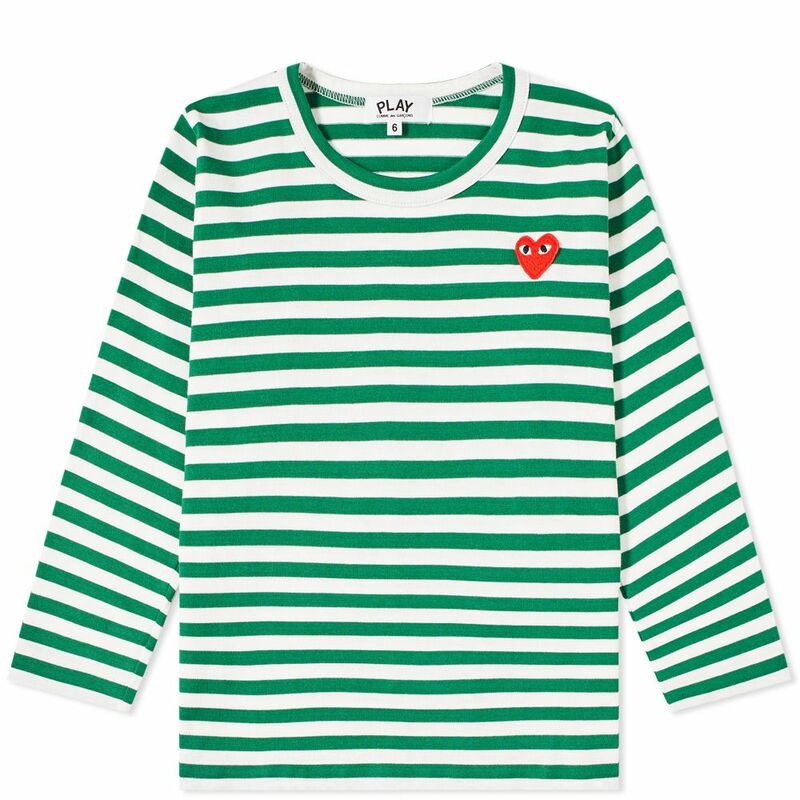 Offering a vibrant easy-to-wear tee for your little one, Comme des Garçons PLAY extend their signature range to include clothing for children. 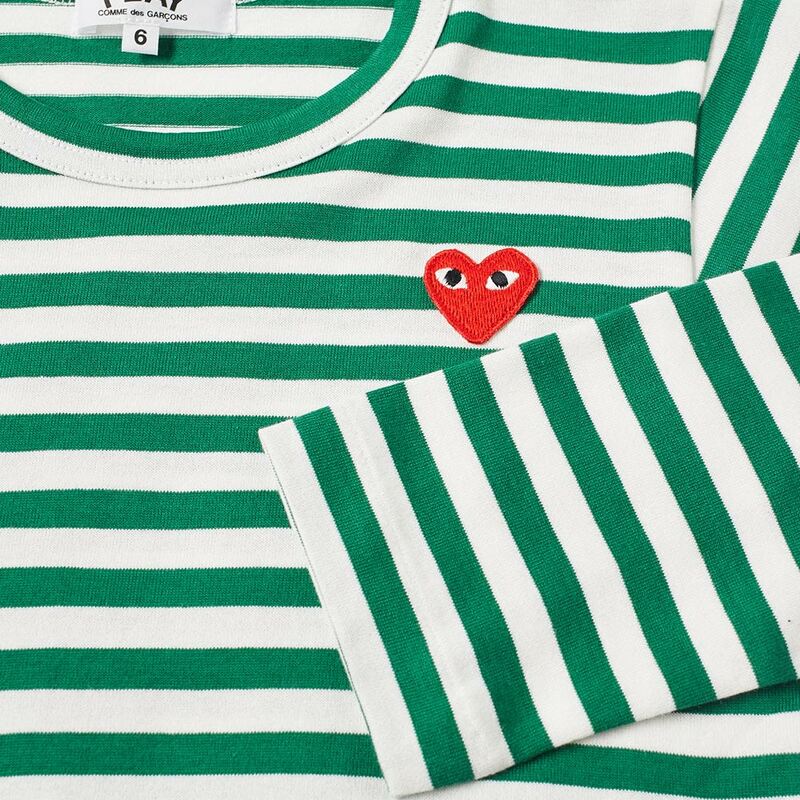 One of the Japanese brand's most sought-after styles, this striped design is wrapped in a bright green and white. 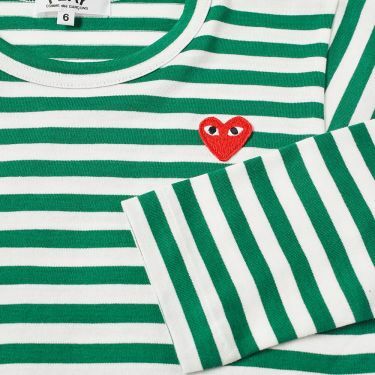 Crafted in Japan from pure cotton, the everyday style is complete with CdG's signature bug-eyed heart emblem.